Second Place Winner in the professional category in the 2018, 7th Annual Dexter Plein-Air Paint-out Festival, juried by Greg LaRock, professional oil painter from California. was accepted into the 2018 Great Lakes Pastel Society National Show. Thank you to Nancy King Mertz, juror for selecting and awarding my pastel an Honorable Mention. 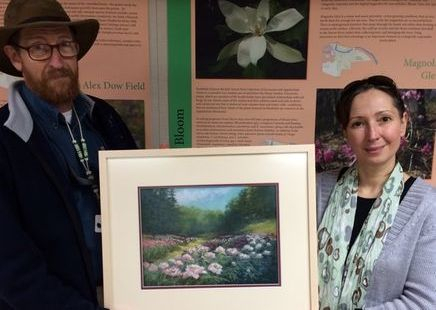 I was honored that the Associate Curator of the U of M Peony Gardens purchased my pastel "Full Bloom Peony Garden" and gifted it to the Belarus Botanical Gardens, in Minsk, Belarus! I met Nastassia, from the Belarusian Gardens, while working in the Arboretum creating this work, what a pleasure to speak with her! This will be my third artwork entered into an international collection! Janet Kohler received her BFA from the College for Creative Studies in Detroit, Mi and her MFA from Eastern Michigan University. 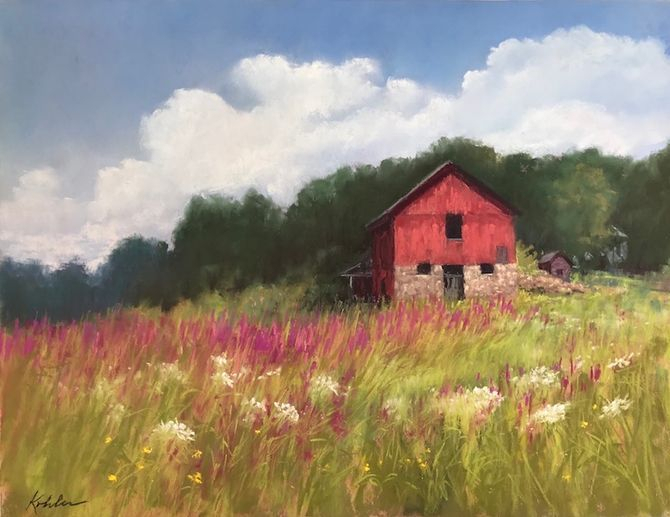 She currently teaches Exploring Pastels at the Visual Arts Association of Livonia and every summer at Interlochen Center for the Arts. She has taught numerous classes and workshops in Pastel & Landscape Painting; Figure Drawing & Painting at The Ann Arbor Art Center and Drawing at Washtenaw Community College, and Drawing the Figure workshops at the University of Michigan Museum of Art. 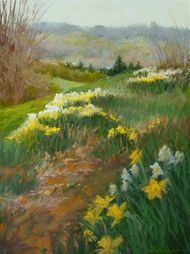 Janet’s pastels and oils have been exhibited nationally and internationally and are included in many corporate and private collections. Art Review by Art Critic, John Cantu, (Ann Arbor.com, ) he writes about the "Nature of Art": "Take, for example, Janet Kohler’s striking “Daffodil Walk.” This marvelous pastel painting vividly captures these spirited flowers in bloom while also carving a thoughtful landscape through the strategic placement of varied earth tones. Modulating her palette with restful shades of blue in the background, Kohler crafts a contemplative setting of our local landscape while also adding a touch of drama."